How to build a doctor? My role in Sogeti is to build solutions to collect and analyse data for our customers. We are presenting the knowledge in Big Data to people who would not have the experience and ability to process this information in the past. Now we present this knowledge in understandable ways and even say what the “Next Best Action” is. How far can we take the idea of collecting and analysing information, and informing people what their options are? For example, could we replace a Lawyer or Doctor, with a Machine? Can we replace a human who uses their experiences and training, with data and an interface? Will you be replaced by technology? Step 1. We need data. Big Data. 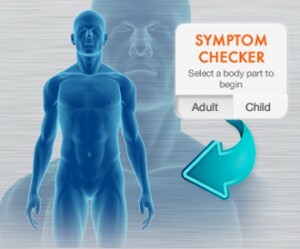 W hen I go to my Doctor’s clinic today, my doctor will diagnose the ailment and immediately look-up www.patient.co.uk . This website holds information on most medical conditions and allows you to search via its “”. The doctor prints the webpage and tells me to “read that”. These days, a lot of people wear fitness trackers like watches and other cool wearables. I have a FitBit. Wearables are devices that collect data about us. For example, a weighing scale can measure my weight and tell me how fat I am. Google tracks search history of users. Social Media sites collect information about how people feel, in the form of comments. Check. We have relevant data and we are collecting more all of the time. Step 2. Build a machine that can learn. If you buy a book on Amazon, you get the list “Customers who bought this item also bought”. Amazon does not generate this list from product categories. This is machine learning. Enough data has been generated to train a Machine Learning model, to detect trends, to predict what you might also want to buy, if you are buying this item. 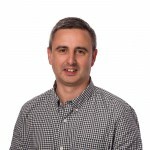 Amazon collects so much information and are so smart in how they can make it work for them, they can predict what a site visitor will be interested in and what is the probability that they will purchase. Amazon can start to ship an item to you, before you have purchased the item. Machine Learning! Check. Machines are already learning. Step 3. Build an interface you can talk too. tell me a joke”. Cortana will respond with a terrible joke. 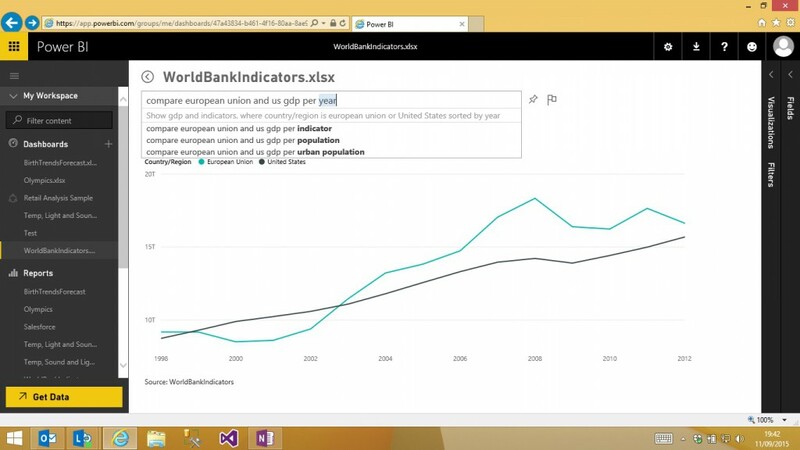 PowerBI comes with Natural Language Search. In the “World Bank Indicators” example, type “Compare European Union and US GDP per year”. A chart is displayed with the results to your question (even a badly worded one like mine). Check. We can already talk to our phones, TVs, computers,etc. Is this all we need? Maybe this is a bit “cold” but it’s accurate. People might want a human to tell them they are OK, talk to them about the weather, “did you see the football at the weekend?” But a doctor’s real job is to diagnose and treat. So building a “doctor” is possible. 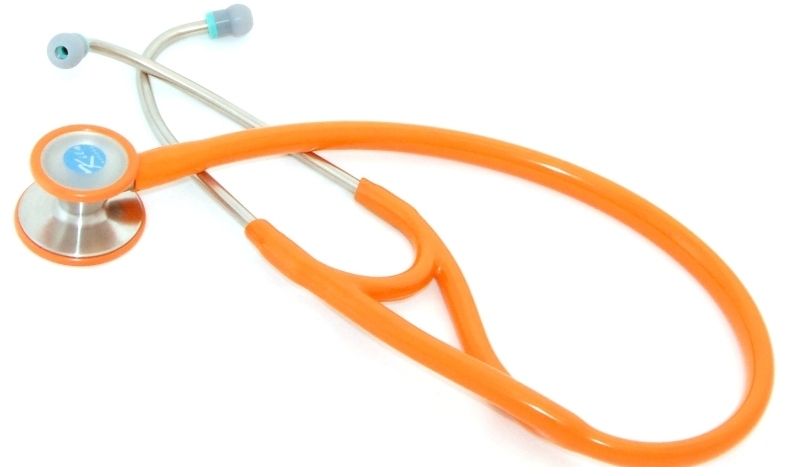 Who is the doctor-to-be-replaced in your company?